After realizing that our wallets needed to shed before we get full in Grace Park Restaurant (read more), we decided to hop on to another restaurant within the area. One of my friends blurted out Dean & DeLuca, which I didn't understand at first. 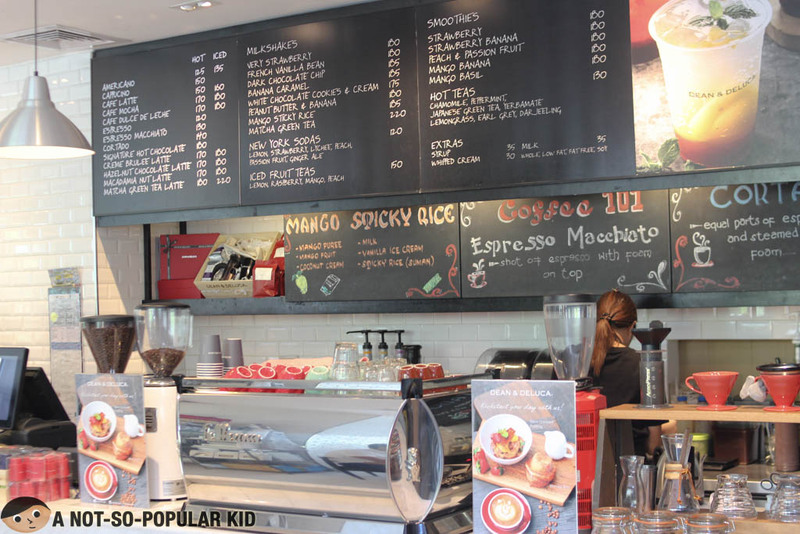 I asked about it, and she said that it's a place known for coffee and pastries. Here in this blog post I will be sharing about the pizza and other pastries we tried. 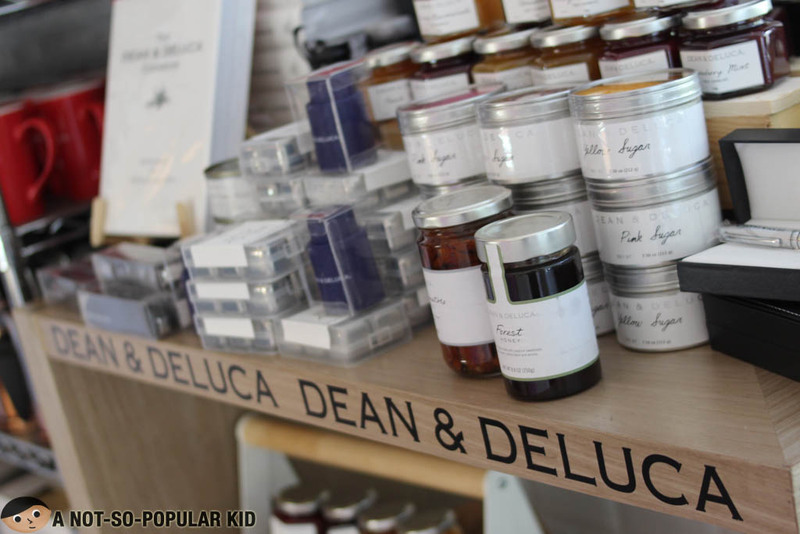 The interior of Dean & DeLuca features a modern look that incorporates minimalist features. Honestly, the ambiance reminded me that of Larcy's Cupcakery in BF (read more) but only "classier". It may be a good candidate for a casual dating place. 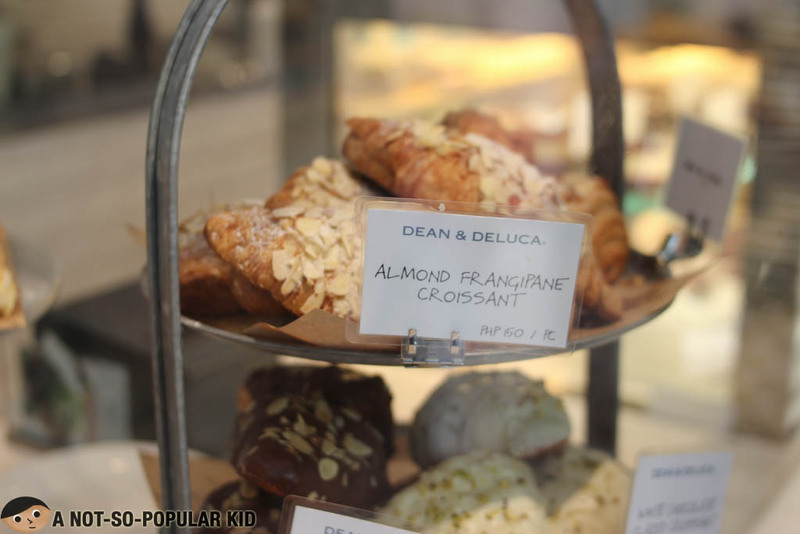 As earlier mentioned, Dean & DeLuca is (more) famous for its coffee and pastries. 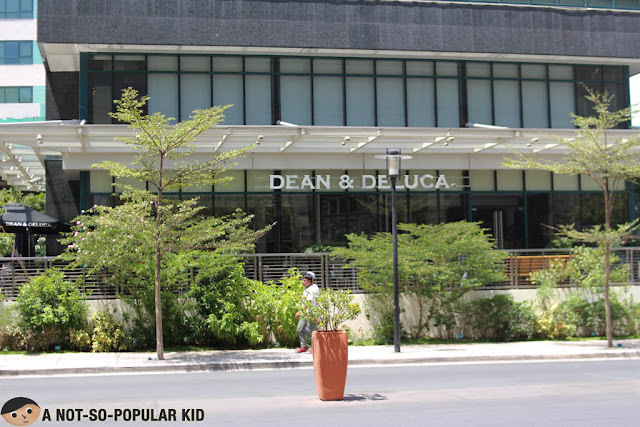 However, it seemed like it's famous for its other savory dishes altogether, as evidenced by the flock of people dining in the place. To burn off time as we waited for some seats to free up, we decided to just ogle on the cakes found on the display. Our total waiting time was about 20 minutes, since we were 8 in the group during that time. Fret not because if you are coming in as a pair, you will not be subjected to that long of a waiting time (probably only half of that or less). Although everything else seemed amazing, I found the customer rapport somehow off. Some of the waitstaff had a frowning face when spoken to which made me feel a little irritated during that time. It's a good thing that the beauty of the place was a great diversion. Alright, enough with the blabber, let's get on to the few items we were able to try during our visit. Let's start with the pizza! Although considerably pricey, this pizza was something highly memorable. With its incredible thinness, all your attention will be placed on the sauce as well as the toppings. 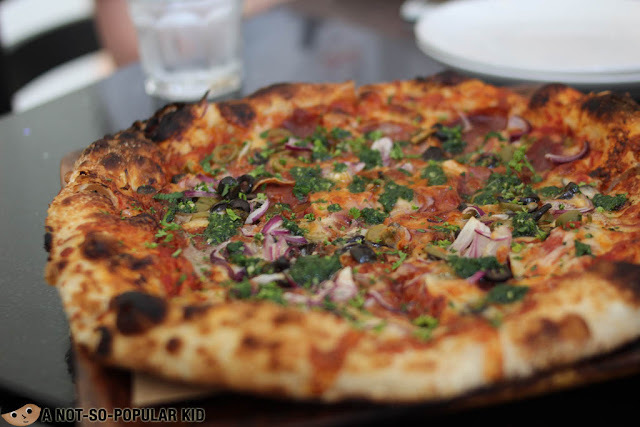 The crust in itself was delicious creating a fantastic pizza experience! 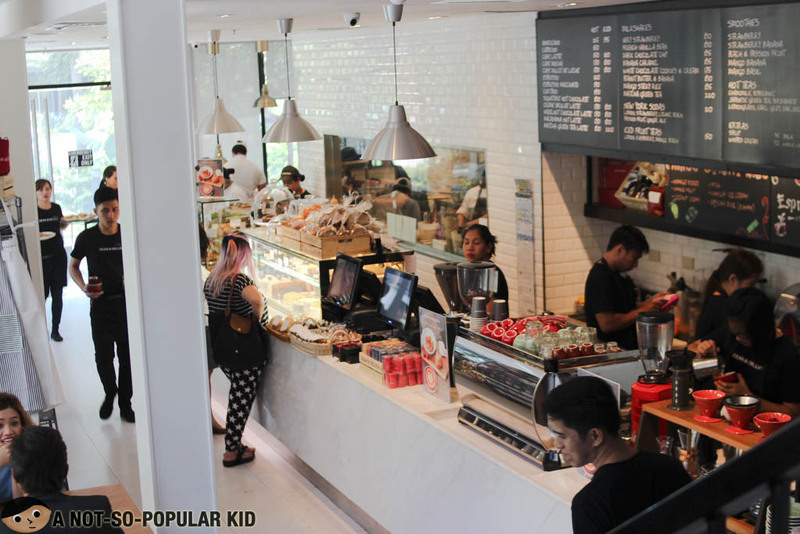 I would say that I fell in love with it, and think I need to update my list of Top 10 Pizza Places in Metro Manila (read more). 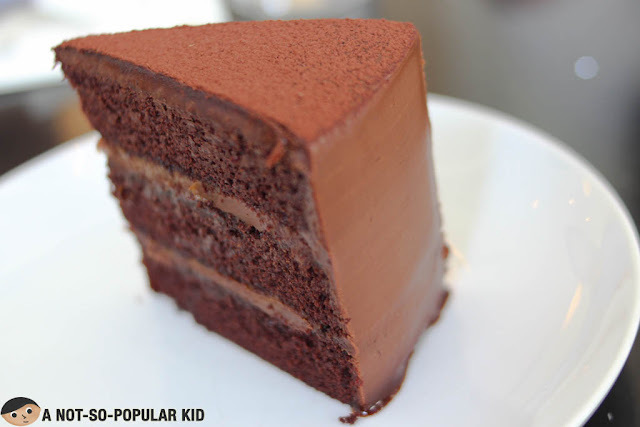 This chocolate cake had this rich bitter chocolate taste that brushes magnificently on the palate. It may be "slightly sweeter than usual " for some, but for me, it was just right! Also, the texture of the cake just says its all about its quality. This Hokkaido Cheesecake was also another hit among the group due to its balanced cheesy goodness. 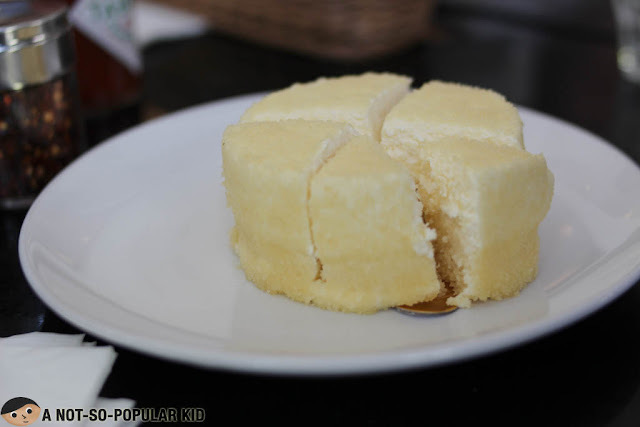 I personally think that the sweetness was just right, but one of my friends said that it was still "too sweet" for a Hokkaido Cheesecake. Anyway, I am giving this a thumbs up due to the great texture that melts in the mouth. 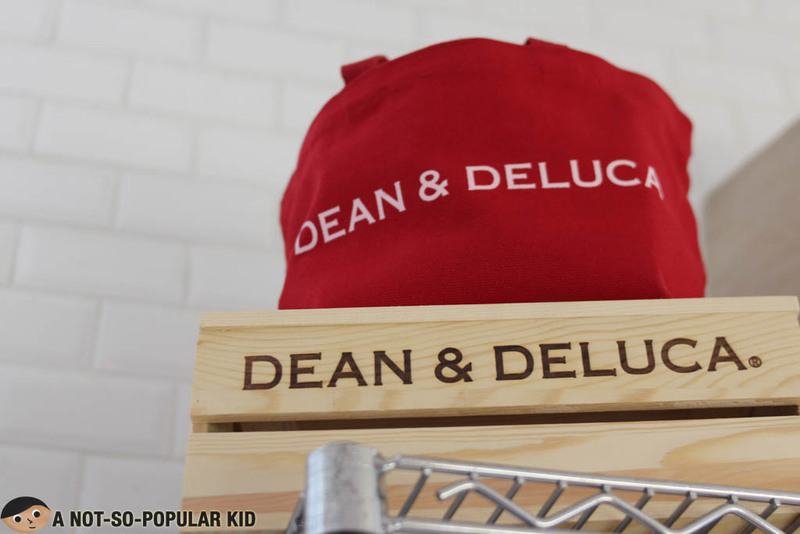 With the few items we tried, I would say that we found Dean & DeLuca pretty impressive. The pizza was very noteworthy especially with its delicate thinness and delicious sourdough crust. 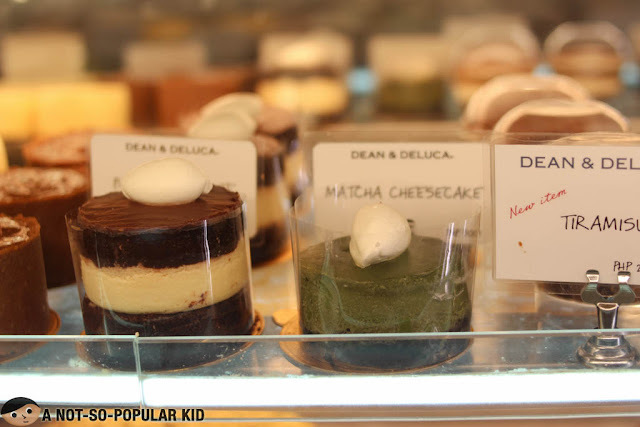 The two cakes we had were also amazing with sweetness ranging from moderate to slightly high. Overall, we really enjoyed our experience, but service could be further beefed up by making the waitstaff "friendlier" and more pro-active. Despite this, I still feel compelled to give this restaurant another visit to explore other dishes.